The Artiste Complete Kitchen Stand Mixer is an affordable yet powerful mixer that can handle all your kitchen mixing needs. For a limited time you also get the Ice Cream Maker, Cookie & Cake Paddles, & Spiralizer attachments with purchase of the Artiste. 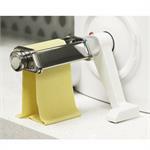 This bundle includes the Bosch Universal Plus mixer, 3 different pasta rollers including a sheet roller with 7 adjustable thicknesses, Angel Hair pasta cutter and the classic flat noodles of the Fettuccine cutter and the adapter leg. 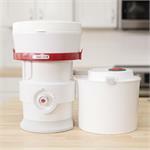 Versatile and convenient, this variable speed grain mill uses a high-speed impact chamber to mill flour from grains & beans and can quickly grind up to 20 cups at a time. 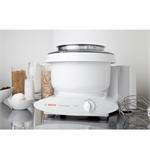 Bundle special includes coffee/seed mill & The Essential Home-Ground Flour cookbook. 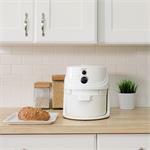 The NutriMill Plus combines power and convenience in a compact design. 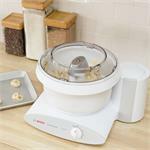 Powerful, stainless steel milling heads create flour from non-oily grains & beans. 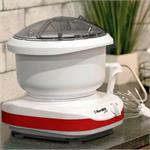 Bundle special includes NutriMill Mini coffee/seed mill & Essential Home-ground Flour Cookbook.